Discuss the thermal advantages of building with wood. 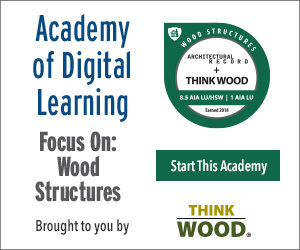 Describe how designing with wood can enable design flexibility to maximize building performance. Explain common methods for controlling heat and airflow in wood-frame and mass timber buildings. List common insulation, airtightness, and vapor permeability strategies often employed with wood construction to achieve effective thermal efficiency. The benefits of choosing wood in commercial and nonresidential projects are many. Both light frame and mass timber structural systems offer flexibility in design options. They also are economical and relatively easy to construct, providing ease of use on the job site. Yet one important benefit that should not be overlooked is the thermal performance that wood can provide. Thermal performance contributes to a range of important goals for most projects, including energy efficiency, comfort, durability, code compliance, structural integrity, and sustainable outcomes. 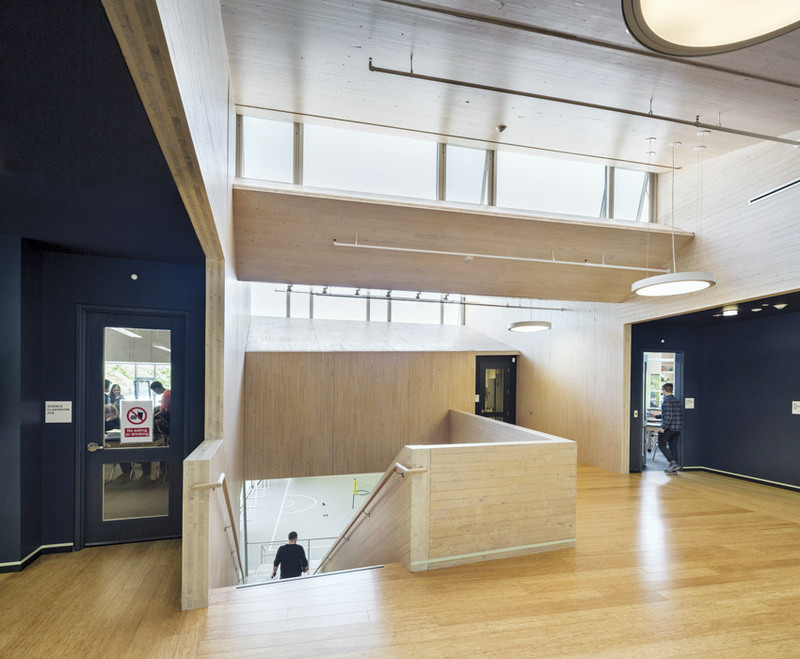 Designing with wood not only meets performance requirements for commercial and nonresidential buildings—it can also exceed goals. Wood naturally provides insulation benefits due to its inherent structure. Air pockets within timber’s cellular structure create a barrier to heat and cold, similar to air pockets found in most types of insulation. The air pockets reduce the thermal conductivity of wood, slowing heat transfer and helping to reduce thermal bridging. Thermal conductivity, or the ease with which heat energy flows through the material, declines as the density of the wood decreases.3 This means that modern softwoods have a thermal performance edge over traditional hardwoods. The thermal resistance of typical softwood varies depending on thickness and moisture content. As an organic material, other aspects of wood can alter thermal performance. Grain direction can significantly impact thermal conductivity. For example, thermal conductivity of pine in the direction of the grain is 0.22 W/moC (which is equivalent to degrees Celsius/W) and perpendicular to the grain 0.14 W/moC.4 This is important to know, as dimensional lumber in studs will have less thermal conductivity through the wall and greater heat transfer between the floor and ceiling. Moisture also plays a part in wood’s thermal performance. Increasing moisture in wood increases thermal conductivity, so kiln-dried wood or fully aged and dried wood will allow less heat transfer than “green” or wetted wood. Keeping wood at the optimum moisture level is important to ensure performance goals are met and maintained over time. Steel and masonry materials are both energy intensive to produce and do not offer the same inherent thermal properties as wood.